I have carved my own prop for my home built airplane. I would like to install brass tipping, but haven't been able to find any detailed info on exatly how it was done. Please help. 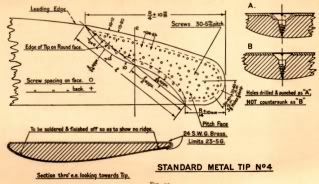 from 1930s maintenance course booklet,might be of some use if you can read it.